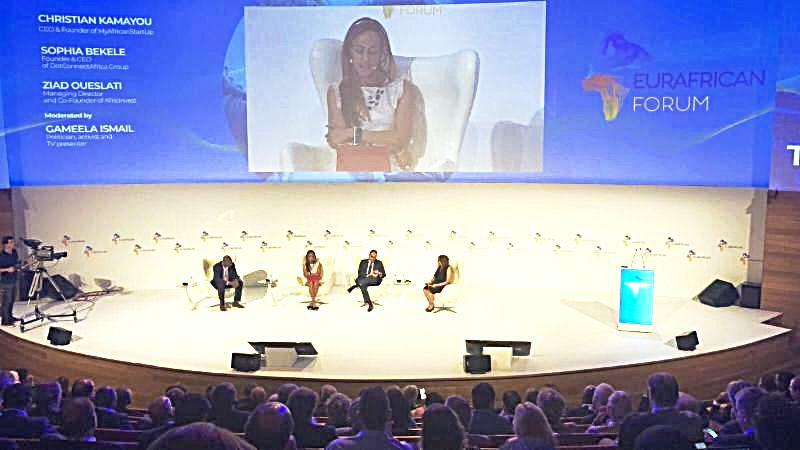 Recalling the initiation of the EurAfrica Forum in 2016 [click to read] , Bekele was an invitee that advised the Presidential delegation, which led to the initiation and launch of the expanded EurAfrica Forum 2018. This year's forum also organized by special invite, is themed “Crafting Coalitions for Change, this action-oriented platform aims to foster stronger collaboration between Europe and Africa in order to promote a shared green and inclusive growth, to uncover new business opportunities and to create synergies between innovation models. Opening the forum, the distinguished José Manuel Durão Barroso Chairman of the EurAfrican Forum welcomed the delegates saying "Africa will be the largest market in the world and the continent with the most demographic dynamism." He added "With increased education, infrastructure, respect for basic rules and rights, Africa will be the future"
"There is currently a meltdown of trust globally. The number of resignations due to ethical conducts in the government sectors as well as the actions of private sector giants such as Facebook and Google over our privacy, makes this topic of TRUST a timely issue". Focusing on the forum subject, She noted that, "Trust can be fostered through three areas - Opportunity, Technology and Corporate Social Responsibility". Expanding on the topics, she said that the EurAfrican geo-economics will therefore move towards reality if Africa is given opportunity to be equal partner in the equation, an opportunity for a fair trade - not as just an exporter of raw materials which is happening now, but empowering Africa to build its own processing capacity. Europe can do this with Africa at the national level with shared vision for each country instead of looking to Africa as one single continent. Europe can also develop and engage in Corporate Social Responsibility programs "CSRs" to build its social capital. " The world needs to find the right balance between profit and social impact ". Finally she advocated a call to action for the empowered groups and leaders in Africa, which are its women and youth. "We should learn just like the Chinese to take advantage of the demographic dividend we have in our youth, the largest group and future generation of Africa. Statistically, it has also been known now that African women in fact currently make up the largest women workforce in the world", Bekele said. Responding to the questions from the audience, Bekele reiterated the panels' voice that Africa is the destination for trade and development, and she has high hopes for Africa. Therefore it is the opportune time to forge trusting and working with other economic regions in the world like Europe.